Our founder, Mellanie True Hills, is now cured of atrial fibrillation. She created StopAfib.org as part of the American Foundation for Women's Health to share what she and other atrial fibrillation patients have learned and to provide you with information and answers to your questions. StopAfib.org is a patient-to-patient resource to help you control your atrial fibrillation so it doesn't rule your life. Though atrial fibrillation impacts women and their families, we're not here just for women, but for anyone—patients, families, and caregivers—living with the life-changing impact of atrial fibrillation. You are not alone. As an afib patient, you probably have lots of questions and not enough time with your doctor to get all the answers. We hope that you will find many of those answers here. We want you to know your options so that you can make the best choices for you. We're here to help you. If you're not getting the answers you need from your health care team, please search and research in our Afib Services Directory to find the right resources for treating and managing your atrial fibrillation. This locator will help you find hospitals, heart hospitals, arrhythmia centers, electrophysiologists, cardiologists, and surgeons that provide atrial fibrillation services. You will also find reviews by patients just like yourself. Please note that we request positive reviews from patients, so providers with more reviews would generally indicate more happy patients and better overall results. We're not pushing products or services, or selling things here, and we do not accept advertising. Our goal is for this site to be an unbiased informational resource for you. Those doctors and facilities that have expanded listings in our Afib Services Directory are not only providing you with more information about their services, but are also helping us to defray the operational costs of providing you with the resources here and are thus considered as site sponsors. We are a not-for-profit site and are committed to continuing to provide you with more resources to help on your atrial fibrillation journey. This is a patient-driven site. Most of our content has been written by Mellanie True Hills, an atrial fibrillation patient whose afib is now under control. We also have some health writers who write for us, and in such cases, the author is listed. Where articles have been written by medical personnel, such as members of our Medical Advisory Board, their names and credentials are noted. Unless otherwise noted, no content has been written by medical personnel. Atrial Fibrillation Services Directory listings are provided for the purpose of giving patients the information with which to narrow their search for physicians and facilities. The information in the directory is submitted by individual providers. While we review and approve listings, we cannot verify every detail of every listing. It is thus your responsibility as a patient to not act solely on the information here, but to verify it with the provider chosen. Patient reviews submitted to us must include name and contact information so that we may verify them. When warranted, we will omit names as many afib patients cannot have employers or colleagues knowing such personal medical details, but we will know the sources of those patient reviews. 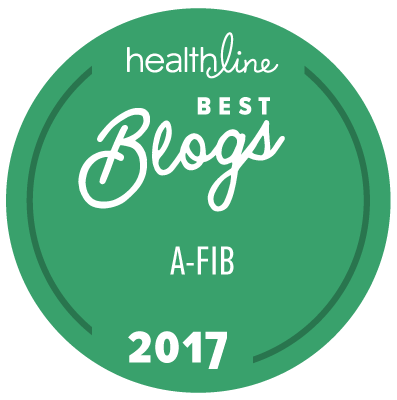 Our goal is also to build an atrial fibrillation community through communication, conversation, and collaboration at our StopAfib Discussion Forum and Atrial Fibrillation Blog. We'd love your participation and hope that you will share your story there. If you prefer, you can share it privately, but you can also share it privately at the StopAfib Discussion Forum. If you find errors in this site, or want to clarify anything that is here, or if there is something you'd like for us to address, please Contact Us. The StopAfib.org Medical Advisory Board is made up of some of the world's foremost atrial fibrillation experts who help us address current and future atrial fibrillation treatments. If you, or your organization, can help with this mission, please Contact Us to discuss how you can help, or Donate Now to StopAfib.org. Thank you for your support and help.